Guru Tegh Bahadur Sahib ji, the ninth Guru of the Sikhs, lived during one of the most turbulent time in Indian history. His grandfather, the fifth Sikh Guru, Guru Arjan Dev ji was martyred by the Mughal emperor Jahangir for refusing to embrace Islam. 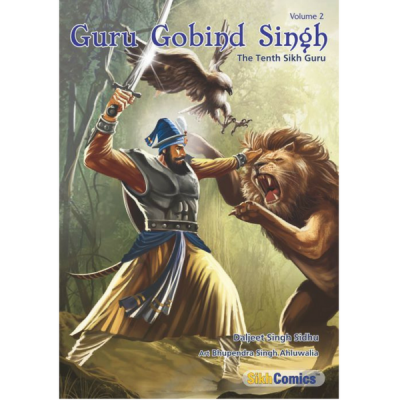 Guru Tegh Bahadur’s father, the sixth Sikh Guru, Guru Hargobind had several wars forced upon him by emperor Jahangir and his successor Shah Jahan. Tyranny and religious persecution of Hindus and Sikhs reached its peak when Aurangzeb ascended to the throne in delhi. He had long cherished the ambition of converting India to a land of Islam and vigorously started destroying temples and forcing Hindus to embrace Islam or face death. Fearing the imminent destruction of their religion, a bunch of Kashmiri brahmins visited Amarnath, the abode of Hindu lord Shiva, to invoke his mercy. At Amarnath lord Shiva visited the brahmins in their dream and asked them to go to Guru Tegh Bahadur ji and plead for his help in saving the Hindu dharma. Guru Teg Bahadur ji agreed to visit Aurangzeb in Delhi to ask him to stop the persecution and murder of Hindus. He was arrested on the way and brought in chains to Delhi. Aurangzeb asked Guru Tegh Bahadur ji to embrace Islam or show a miracle to save his life. 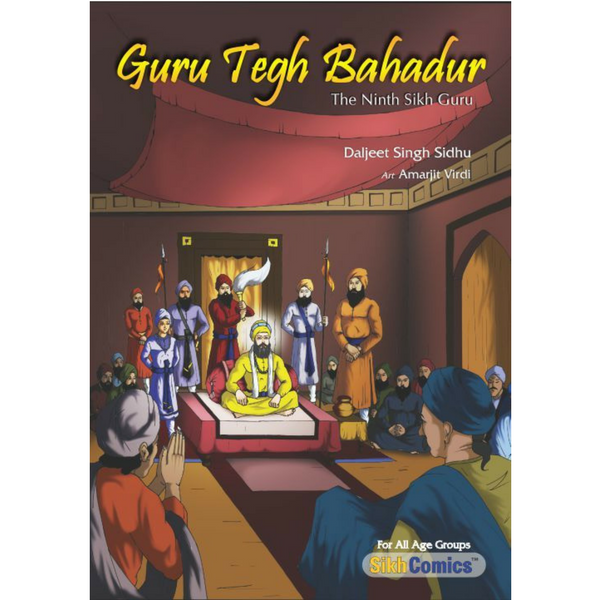 Guru Tegh Bahadur ji refused and was executed with three of his companions. Many saints, sages and heroes have died for the sake of their own convictions, but no one in the history of the world has ever laid down his life to protect a religion or the ideals he did not fully believe in. Guru Tegh Bahadur ji, deeply imbued with the spirit of kindness and self sacrifice, fearlessly stood up for the Hindus. He died to save their honor and to defend their freedom to practice their religion without fear even though he did not subscribe to the Hindu faith or to its philosophy.